With the sheer abundance of pet nail trimmers that exist on the market, it can be hard to ascertain which are the best cat nail clippers for your money! Luckily for you, this article will give you everything you need to know to get started on your search for some sharp, long-lasting, and safe nail clippers for your cat. To get your cat feeling comfortable again as soon as possible, and to (potentially) have them stop ruining your furniture, let’s see what we can find! Before we look at some recommendations to some of the best cat nail clippers, how would you go about using them in the first place? The big worry many new cat owners have around trimming their cat’s nails is accidentally hurting them by cutting into the “quick”. This is the area of the nail that is pink in coloration, and it is where the nerves and blood vessels are. Clipping into the quick will cause pain and bleeding, and might cause your cat to be fearful of future nail trimmings. To reduce the risk of accidentally hurting your cat, you want to ensure that they are relaxed about the whole experience beforehand. Training your cat to become more used to the trimming process can help discourage them from writhing about while you’re trying to make a cut. For example, use the clippers on dry spaghetti with them in your lap so they can get used to the sound. It may look weird to anyone watching, but it’s worth it! To reveal their nail, massage and press upon their paw pad until the nail is fully revealed. Once your cat is used to revealing all their nails to you, apply a slight amount of pressure to the tip so they can get used to that sensation too. Slowly introduce these concepts over a number of days, with treats as rewards. Which Part of the Nail Should I Clip? When it comes to actually trimming the claws, you want to aim for the sharp tip of the nail. It’s better to cut less than to accidentally hit the quick. It can be a good idea to keep styptic powder or sticks nearby just in case you do hit the quick. Any bleeding should be short-lived; if it doesn’t seem to be ending, consult your vet. If your cat is still a bit anxious and fidgety whilst you are cutting, just cut 1 or 2 a session until your cat gets calmer and more used to it. Once you’ve done all 10, congratulations! Hopefully, you and your cat now feel a lot more relaxed about trimming as a whole. Now that you hopefully feel a bit more confident about how to get started with cat nail clippers, where should you actually buy them? If you want brand new nail clippers, your best two options are either from your local pet shop or online. Each comes with their pros and cons! You can see and hold a bunch of different options, get a feel for their weight and a better idea of how much of a fit they may be for your cat. But, you are limited to the selection in store. Online stores do not allow you to have this physical feel for the item before buying it. However, they have a much wider range of items that your local pet store will ever have. It’s also a lot easier to buy online then have to go to a store! For this article, we will be recommending the best cat nail clippers that we can find on Amazon, an online shopping service. Some of the products shown may be obtainable from your local pet store if you prefer. However, we can make no guarantees. A guard in terms of cat nail clippers refers to a sheet of metal that disallows you from cutting too far up the nail into the quick. Therefore, this section of best cat nail clippers is great for those who are trimming their cat’s nails for the first time. 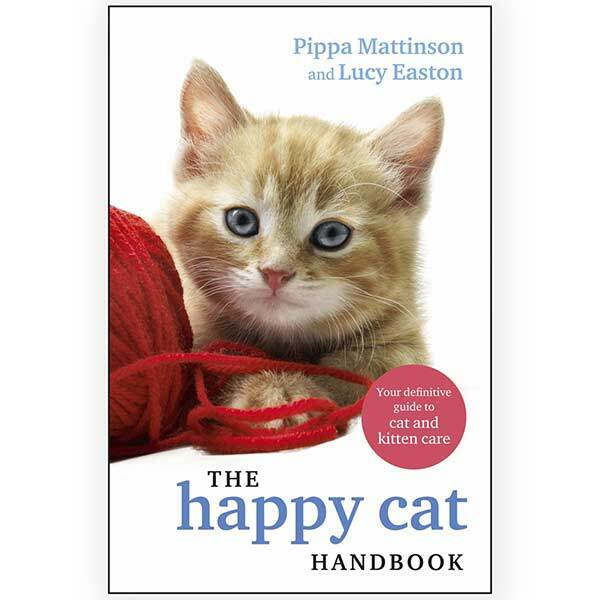 Also if you have a particularly fidgety and unruly cat, and/or generally have bad hand-eye coordination (like myself)! The CleanHouse Pro Grade Cat and Dog Nail Clippers with Safety Guard makes the list due to its ease of use and focus on safety. It features an easy to use guard, along with a safety switch to prevent any potential accidents. It’s well-made, with a stainless steel base and a comfortable grip. These clippers also feature a lifetime money back guarantee if you are unsatisfied! Another top trimmer that prioritizes usability and safety is the Bissell Cat & Dog Nail Clippers. Again, the angled safety guard can help prevent over cutting. And the sharp steel blades can easily cut through even the toughest of nails cleanly. This item comes with a bonus file stored within the handle. This helps smooth out any rough cuts that may occur so that you can have the perfect trim every time. The Zen Clipper Pet Nail Clippers feature an innovative method of ensuring that no accidents can possibly occur during a nail trim. It has a hole measured to the common circumference of the tip of a cats claw. You simply insert your cats nail into the opening and use the unique conical blade to trim it with ease. The hole is thin enough to disallow you from going too far, meaning it is one of the safest ways to ensure your pet is never hurt during this process. You can pick different size openings depending on the size of your cat’s nails; 1.5-2.5mm is usually sufficient. The previous clippers shown can be useful for those who are worried about cutting the quick in their cats. But for those who are more experienced cat trimmers they can prove to be a bit bulky. So here are the best cat nail clippers that focus on small size and simplicity! The H&H Pets Cat and Dog Nail Clippers are fantastic for those looking for great performance at a reasonable price in their clippers. Cutting nails is a breeze with the stainless steel blade, and the scissor-like design only serves to make things easier. The rubber-coated handles give a good grip and are slip-resistant, providing a safe experience for your cat. There is also a lifetime guarantee; if you are unsatisfied, you can get a full refund at any point. These clippers also come with free shipping to certain states in America! The JW Pet Company GripSoft Cat Nail Clipper are one of best cat nail clippers in this category and do a great job. The lightweight and small but comfortable length of the blade make these trimmers markedly more precise than most other trimmers. Not only this, they are very easy to maneuver and can be a great choice for fidgety cats. It comes with a very affordable price too; just $4. As a very good eco-friendly option, the Shiny Pet Pet Nail Clipper is made from 100% recycled plastic. Meaning that you can do your part for the environment, and receive some quality clippers at the same time! The handle is completely slip-proof, and the blades themselves are sharp and ensure a precise cut. These clippers are protected by a lifetime money back guarantee and also come with an instructional eBook on how to trim your cat’s claws safely! The Kudi Pet Nail Clippers are a great example of the idea that simplicity is best. Light as a feather and small, they are incredibly easy to handle. The handle features a lot of grip, preventing any potential accidents. The angled blade cuts cleanly and precisely without the need for much pressure to be applied. This makes the nail-trimming task quick and easy for both you and your cat. They come with a year money back guarantee. 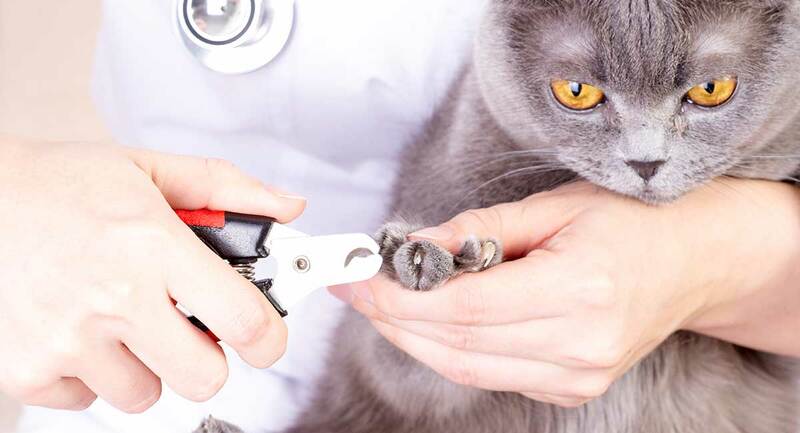 If you are a very experienced cat nail trimmer, you may find the clipper for you by looking at the ones that are used and recommended by professional groomers and veterinarians. After all, there is no greater tell in the quality of a product than it being the tool of choice for the pros! Therefore, these clippers certainly belong on this list of best cat nail clippers. These clippers are built to last, work quickly and efficiently, and cause little stress to your cat. If you’re looking for efficiency and precise cuts in a small and light product, the Pet Republique Pet Nail Clipper is definitely one of the best cat nail clippers on the market. It’s highly reviewed and one of the top sellers when it comes to cat claw care products. This is a popular choice for both professionals and pet owners. The blade is sharp and delivers safe, clean cuts every time. Additionally, they last for years meaning you don’t have to worry about replacements! These clippers come with a 30-day money back guarantee and a two-year warranty. For a solidly made, easy, and quick option, the AIBORS Professional Stainless Pets Nail Clippers are a great pick. While larger and bulkier than most in this list, they are designed with ease of use in mind. The angled head helps prevent nails being cut too short. So you can get your cat’s claws done quickly without much worry! With the sharp and strong blade, it can cut through tough nails effortlessly. The Boshel Cat Nail Clippers are recommended by veterinarians and professional groomers alike, so you can know for a fact that they work well! The semi-circular angled blade allows you to easily see what you are doing. This combined with the non-slip grip makes for a safe and stress-free trimming experience. Not only this, if you are not satisfied, you can get a full refund. So there is no risk to trying out these critically-acclaimed clippers and seeing what you think! We hope that you have come out the other end of this article with some good ideas as to what trimmer will be best for you and your cat! Consider your own experience trimming cat claws and whether you will need to have a guard for extra safety. It’s also a good idea to consider your cat’s personality! Some are completely relaxed and docile when it comes to claw trimming, while others can never keep still. Keep this in mind when looking at the recommendations above! Do you have any recommendations as to the best cat nail clippers? What is your favorite within this list?